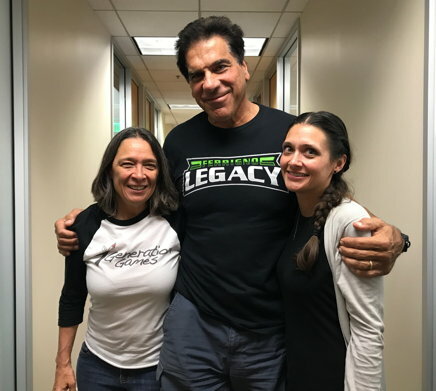 It is rare that a guest on our podcast has the staff at 7 Generation Games coming out of their offices for photo opportunities, but Lou Ferrigno is an exception in many ways. To those of you who fondly remember coming home from school and watching The Incredible Hulk, you won't be disappointed. He is practically a super-hero in real life. He dropped into our offices on the one day he had available between filming movies and TV shows. Despite a profound hearing loss as a child, he does public speaking around the world. Oh, did we mention he was Mr. Universe, has multiple businesses, including Ferrigno Fit and Ferrigno Legacy, and is also willing to give his secrets to success in marriage, parenting and keeping in that amazing shape.